Clop, clop, all at a gallop! Little horse Paulina keeps Lotta and her friends at quite a trot. Ready with saddle, bridle and one full pink horsepower flower - Paulina invites you for the next ride. 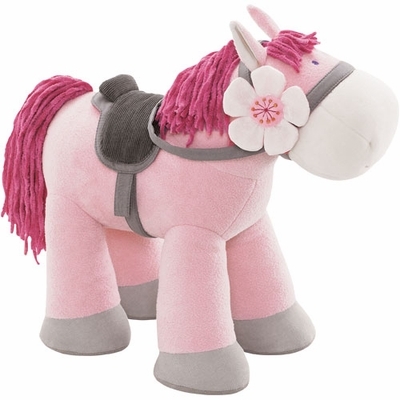 Includes saddle, bridle and magnetic flower. Suitable for 15" HABA dolls. Horse measures 14.5" to tip of ear.